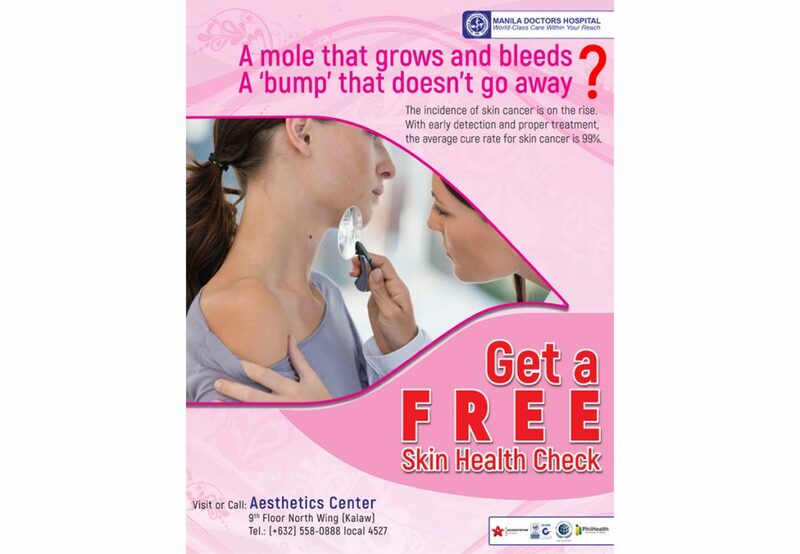 Get a free skin health check today! A mole that grows and bleeds? A ‘bump’ that doesn’t go away? Get a free skin health check today! 1. Like and share this post on Facebook. 2. Go to this link: bitly.com/FreeSkinHealthCheck & fill out the form. 3. Wait for a text or call from us for your free skin health check appointment. 4. Valid from November 14, 2018 to December 21, 2018. For inquiries, visit Aesthetics Center at the 9th floor North Wing (Kalaw) or call (+632) 558-0888 local 4527.